The Taliban have held secret meetings with Afghan officials to discuss a ceasefire, according to the US military. The US commander in Afghanistan, General John Nicholson, said the talks also involved foreign governments and international organisations. Afghan President Ashraf Ghani proposed negotiations in February, an offer the Taliban did not respond to at the time. Since then violence has continued with mounting casualties on both sides. On Wednesday, the militants launched an attack on the interior ministry in Kabul, demonstrating their ability to carry out strikes in the capital. The insurgents also claimed responsibility for another attack on a police station, in the capital of Logar province. The US, meanwhile, confirmed strikes against the insurgents in Helmand province with “more than 50 casualties”. Comparing the situation to Colombia – where a 50-year civil war led to a peace treaty – General Nicholson said violence and progress could coexist. 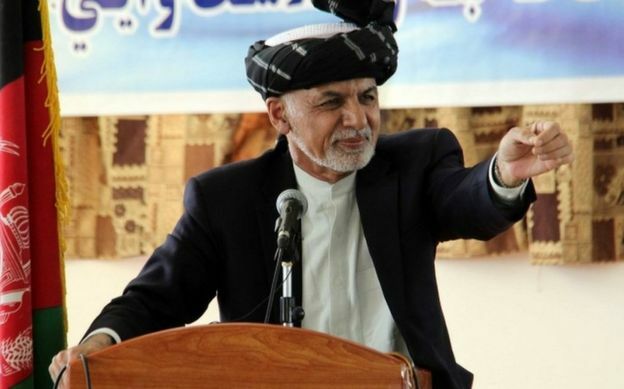 In the February offer of talks, Mr Ghani said the Taliban could be recognised as a political party if they accepted a ceasefire and recognised the country’s constitution. 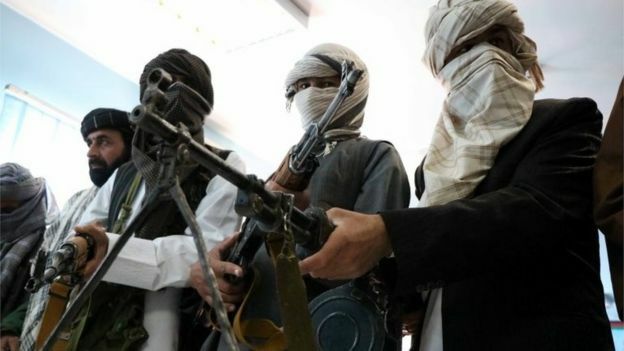 Taliban insurgents control more territory in the country than at any time since foreign combat troops left in 2014, BBC research published in January showed. It is estimated that about 15 million people – half the population – are living in areas that are either controlled by the Taliban or where the Taliban are openly present and regularly mount attacks. 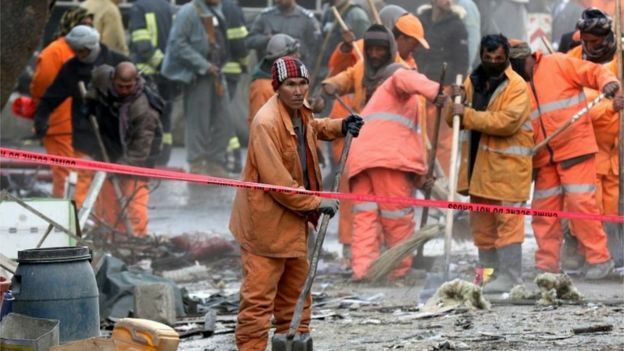 Attacks in recent months claimed by Taliban and IS have killed scores in Kabul and elsewhere, demonstrating the Taliban’s capability to carry out strikes even in the heart of the country’s capital. The hardline Islamic Taliban movement swept to power in Afghanistan in 1996 after the civil war that followed the Soviet-Afghan war, and were ousted by the US-led invasion five years later. In power, they imposed a brutal version of Sharia law, such as public executions and amputations, and banned women from public life. Men had to grow beards and women had to wear the all-covering burka; television, music and cinema were banned. They sheltered al-Qaeda leaders before and after being ousted – since then they have fought a bloody insurgency which continues today. In 2016, Afghan civilian casualties hit a new high – a rise attributed by the UN largely to the Taliban.